The AST test measures the AST blood level. 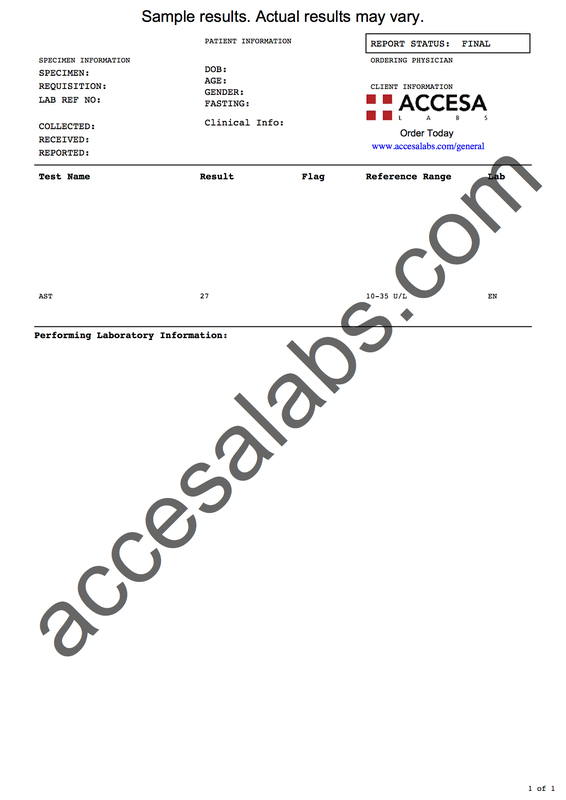 The AST lab test measures the AST blood level. Why is an AST test important? The AST blood test is typically elevated in the setting of liver problems. This AST Test is a blood test. The AST test, also known as an AST blood test, AST lab test, aspartate transaminase test, aspartate aminotransferase test, ASAT lab test and serum glutamic oxaloacetic transaminase (SGOT) test, measures the AST blood level. AST is an enzyme involved with metabolizing amino acids (particularly aspartate). Found in various tissues, including the liver, brain and muscle, aspartate transaminase catalyzes aspartate metabolism with the help of vitamin B6. The AST level is sometimes measured with its counterpart, the ALT test to calculate the ALT / AST ratio. This ratio may help with refining the possible causes for a high AST blood test result because AST is spread more widely around body tissues relative to ALT (which has a higher liver concentration). Both the AST and the ALT tests are commonly performed as part of the larger LFT test panel. To get an AST test near you, order online and get your blood drawn at the Quest Diagnostics lab you selected. Once your AST lab results are ready, they will be electronically available. As can be seen on the AST sample lab report above, AST blood levels are reported as a number in U/L units and can be compared against the reference range provided by the lab. AST Test at Guaranteed Prices.